Deric and Lauren's second Iceland trip, this time to focus on the West and North, since we saw much of the South last year. This trip covered Snaefellsness Penninsula, West Fjords, Myvatn and various small towns in the North along the Arctic ocean. This is our "budget" trip to Iceland (if there is such a thing) with an emphasis on spontaneity, enjoying the environment and the small towns that we discovered along the way. This time we stayed in Hostels whenever we could, and if there were none in the area we stayed at Icelandic Farm Holidays participating properties in "sleeping bag accommodations". We did the trip with no specific itinerary, just areas of interest, and we did not know where we would stay each night until we saw where we were at the end of the day. This works best because, in Iceland, there are many interesting and amazing things to be discovered and there is no way to predict how long it will take to enjoy and take it all in. The country is set up with many pull-offs and informational signs along the road, so sometimes the best things are just found along the way off the side of the road. We also met friendly and helpful local people who offered recommendations of what to see and do, and we met many other travelers who gave us info on what to see and changed the course of our trip sometimes. Therefore planning to be unplanned works out pretty well. 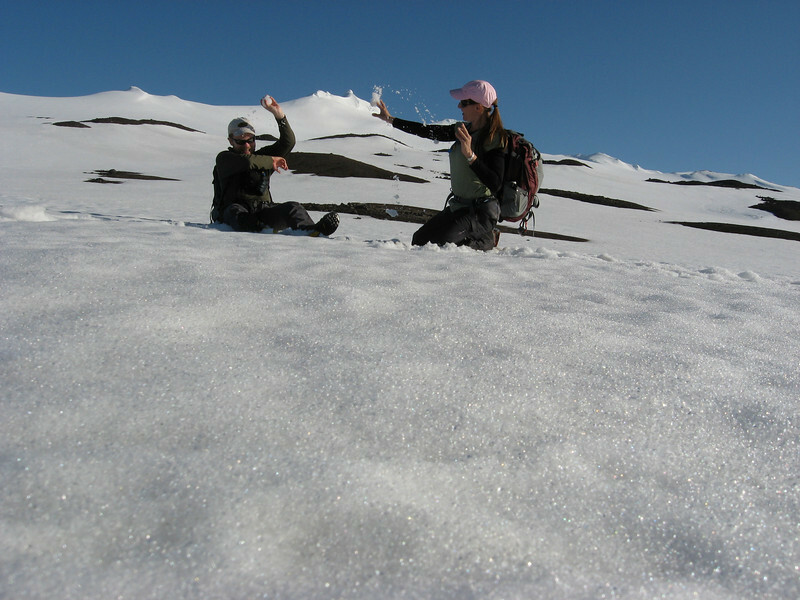 Snowball fight on a glacier!